President Trump signed into law a provision that raises the debt ceiling and funds the government temporarily for three months. Raising the debt ceiling and passing an annual budget bill are two of the most contentious issues on the Congressional calendar this fall and this compromise delays their resolution. Defense hawks slammed this compromise bill because defense spending is included in the continuing resolution (temporary spending measure). House Armed Services Chairman Mac Thornberry railed against the CR contending it would undermine military readiness and cripple efforts to develop advanced technology ensuring technological superiority over U.S. geopolitical rivals. ROA shares Thornberry’s concerns over how another CR would impact military readiness. As evidenced by recent Naval mishaps in the Pacific, the U.S. military has become increasingly stretched. Maintaining military spending to previous fiscal year spending levels would hamper military operations, especially within the Reserves. Orders are cancelled, units cannot train, and overall morale is depressed. Congress owes it to the men and women who have sacrificed their time, talent, and energy to serve in harm’s way, to enact defense spending on a regular schedule. 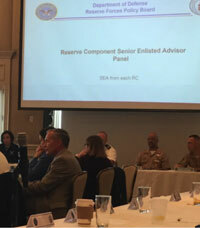 ROA attended the annual meeting of the Reserve Forces Policy Board which included a Reserve Component Senior Enlisted Advisory Panel. The issues were very similar between the services and included duty status reform and the need to ensure benefits are consistently applied so servicemembers can focus on the fight or mission they are supporting. The Chiefs explained that a predictable budget is needed because National Guard and Reserve are not a 24/7 force so they need a budget to bring members on orders. Most importantly they are hearing from servicemembers that they want to maintain a training status that enables them to be mobilization ready, however, the Chiefs emphasized that a predictable rotation is what retains people. The Senate has begun floor debate on the NDAA . Since the House already passed their NDAA version, when the Senate passes their version, it will move towards conference. In conference, House and Senate members meet to discuss difference in their bills and assess whether they can be resolved. Ultimately, the House and Senate have to agree on the exact same version of the bill. Once that the conference version is passed by both the House and the Senate, it is sent to the president’s desk. Conference is the final opportunity for ROA to petition Congress for provisions they want enacted into law. Here are the major priorities ROA is advocating to include in the final NDAA and how you, as a ROA member, can assist in their passage. Contact your Congressional representative or Senator (Congressional Directory) asking for the conference bill to restore benefits to Reserve Component servicemembers deployed under 12304a and 12304b mobilization authorities. 2.) Retain the Reserve Forces Policy Board Reports: The Reserve Forces Policy Board is a Pentagon entity tasked with assessing what is necessary to optimize the Reserve Component’s readiness and retention. However, the House NDAA includes a provision that would eliminate the RFPB’s annual report to the Office of the Secretary of Defense. This report is vital for communicating to Pentagon’s senior leadership areas needing to be reformed to improve the Reserve Component’s performance. One major mission area of the U.S. Army Reserve is facing a critical training shortfall. Although the Army Reserve contains over 80% of the civil affairs personnel, their training is often drastically shorter than their active-duty counterparts. Active duty training usually takes around a year, but the Army Reserve drastically accelerates this timeline pushing Reserve training through in a matter of weeks or months. Part of the acceleration has been the increasing deployments of civil affairs specialists. When AFRICOM was set up, it expanded the special operations within the Middle East and North Africa (MENA). As Captain David Harrell, a civil affairs officer points out, Reservists traditionally did not do special operations support. However, as special operations have accelerated this distinction has broken down. Now, Army Reservists deploy on special operation missions, which require extensive training well above the degree to which the Army Reservist’s standard training levels afford. Unless there is commiserate training, operational effectiveness will be compromised. The Army National Guard deployed thousands of troops to assist in disaster response and humanitarian relief efforts. Amidst the height of Hurricane Harvey, the entire Texas National Guard’s 12,000 servicemembers were activated. 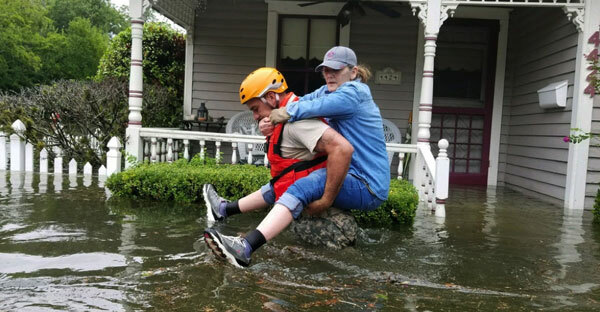 Rapid and extensive, the Army National Guard efforts includes rescue operations, aid delivery, reconstructive efforts, and much more. Even while Hurricane Harvey efforts are ongoing, the Army National Guard has geared up to respond to Hurricane Irma. Along with Florida Governor Rick Scott activating the entire Florida National Guard, thousands of National Guard troops across the country have responded to Irma relief efforts. Trump announced that he is picking Republican Jim Bridenstine of Oklahoma to lead NASA. 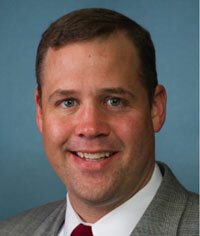 Congressman Bridenstine was a pilot in the U.S. Navy Reserve and the executive director of the Tulsa Air and Space Museum and Planetarium before he was elected to Congress. He was elected in 2012 and currently serving on the House Armed Services Committee and the Science, Space, and Technology Committee. Congressman Bridenstine currently flies with the Oklahoma Air Guard. Alaska is currently home to two Army and Air Force bases, a Joint base, the National Guard, and a series of Coast Guard stations with Marine Corps Reserve members. Though there is no official Navy base in Alaska, several thousand sailors are attached to various units in the state. Governor Bill Walker, Republican governor of Alaska, wants the Department of Defense to open a new U.S. Navy base in the state in response to North Korea’s nuclear threat. North Korea’s recent nuclear test was its 6th to date, and the biggest. Governor Walker says the recent increase in tests call for a comprehensive strategy for deterrence; a Navy base in Alaska, the Governor says, would provide the quickest access to Asia for any base, which would also be under the protective umbrella of the missile defense unit at Fort Greely, which protects most of North America. A memorial service was held at the end of August inside a hangar at the Stewart Air National Guard base, where the nine servicemembers were based in a Marine Forces Reserve transport squadron. A total of fifteen Marines and a Sailor died when their C-130 transport plane crashed in the Mississippi Delta at the beginning of July. 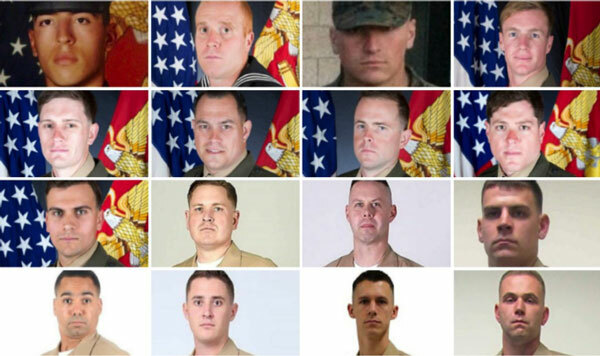 The other seven servicemen killed in the crash included six Marines and a Navy corpsman from an elite Marine Raider battalion out of North Carolina. The cause of the crash is still under investigation. The Marine Corps hopes to buy 200 CH-53K. They will eventually have eight active duty squadrons, one training squadron, and one reserve squadron of the aircraft if it completes all of its planned purchases. The King Stallion has three times the lift capability and has a cabin that is a foot wider; the wider cabin gives the new helicopter massively increased internal volume. The U.S. Navy has awarded Lockheed Martin a contract to start producing the U.S. Marine Corps’ new CH-53K King Stallion heavy life helicopters. The company will produce two of the aircraft for a fixed price contract worth $304 million. The company is expected to start deliveries in 2020. The Navy is buying engines for the aircraft as Government furnished equipment under a separate contract with General Electric. Most people use a first date to get to know they person they just met but for Tech. Sgt. 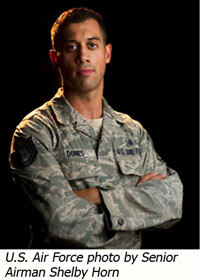 Robert Dones, 349th Medical Squadron surgical technician, his included rescuing 150 people from a forest fire. On a hike around the Eagle Creek Trail in Mount Hood National Forest he noticed a cloud of smoke. When he went to investigate he realized the fire was only about a quarter mile away. He quickly started getting people out of the forest. At a recent Reserve Forces Policy Board meeting, the group was briefed on the Guard and Reserve rescue efforts for Hurricane Harvey and Hurricane Irma. Of note was the destruction in the Virgin Islands and the difficulty because there is basically no infrastructure standing. 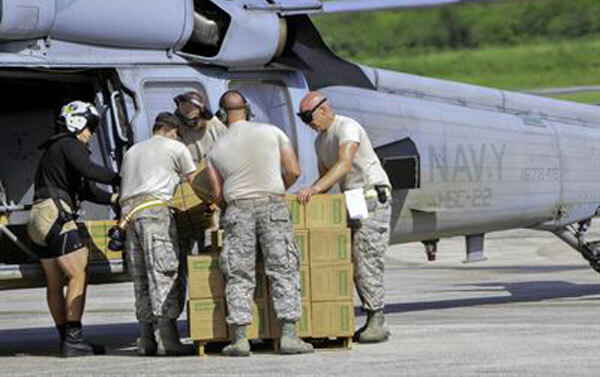 According to the National Guard, "This would consist of airfield operations - support the download and upload of immediate assistance of food, water and necessities to help rebuild and support St. Thomas and St. John." The Department of Veterans Affairs has officially launched Decision Ready Claims, a new system guaranteeing a 30 day or less decision on disability upgrade requests. However, before one can take advantage of this system, veterans must first work with veterans service organizations to ensure all their proper medical records are collected. Once the medical paperwork is properly collected and reviewed by a VA approved VSO, it can be submitted for the relatively quick 30 day decision. Even with the restrictions, VA is lauding this as a significant improvement from the current average 100 day processing time for disability upgrade assessments. This program will not fully resolve the wait times for all disability upgrade claims, which make up around 10% of the VA’s total claims. However, for veterans who have easy access to their medical records, it could provide an alternative with expedited service. Corporate Gray Military-Friendly Job Fair for transitioning service members, veterans, and military spouses but open to all job seekers. You are invited to attend the September 21st Corporate Gray Military-Friendly Job Fair and meet face-to-face with representatives from Lockheed Martin, Booz Allen Hamilton, CSRA, DXC Technology, SAIC, Leidos, U.S. Postal Service, U.S. Customs and Border Protection, AECOM, PenFed, YRCI, WBB, FCi Federal, PotomacWave, ComScore, Defense Contract Management Agency, New York Life, Octo Consulting, ACT I, and more! Job fair hours are 9 am to 12:30 pm, with an Employer Panel discussion for job seekers from 8 am to 9 am. The Waterford Reception Center is located at 6715 Commerce Street in Springfield, Virginia. Parking is free. For more information and to register for the event, visit www.corporategray.com/jobfairs/387. By pre-registering and uploading your resume, you'll receive the job fair employer directory in advance, and give the participating companies early access to your credentials.